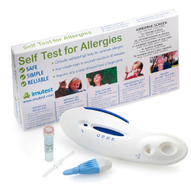 "Quick, reliable and convenient, home allergy testing gives people the knowledge to take the next steps towards choosing the most appropriate course of action whether it be a doctor's appointment, an over-the-counter treatment or lifestyle changes such as house dustmite or cat avoidance which could considerably improve their quality of life"
Find out if your symptoms are allergy-related.Results in 30 minutes. 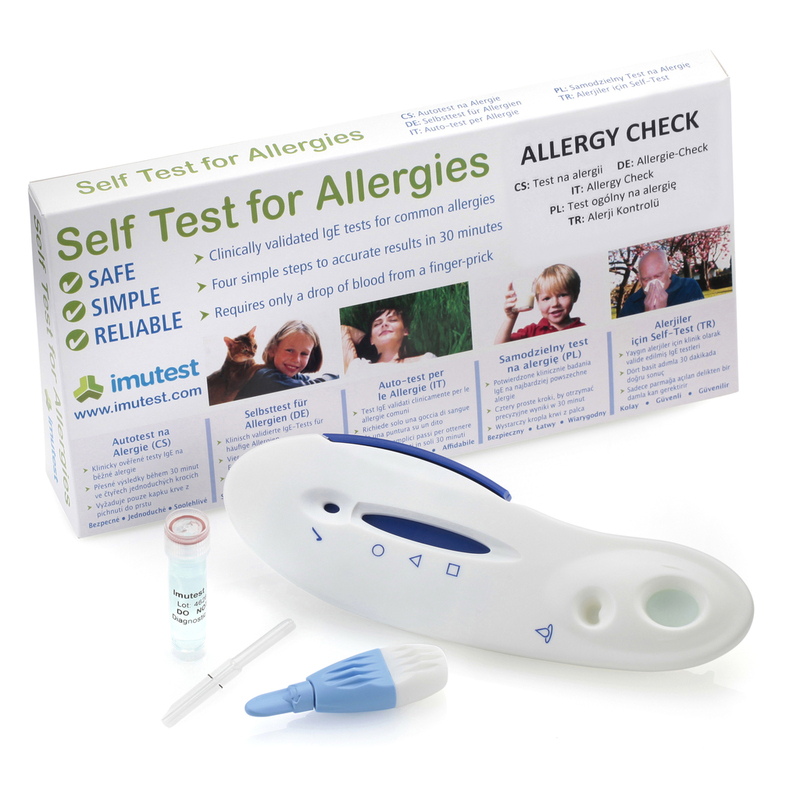 The General Allergy Check will show whether your level of allergy antibodies (IgE) is high or normal. 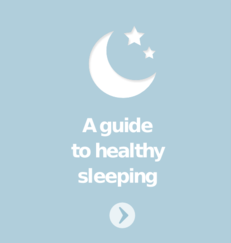 If your result indicates a high level you can then identify your specific allergy using the test for allergy to Cat, Dustmite or Pollen with a hospital-standard test you can do at home. 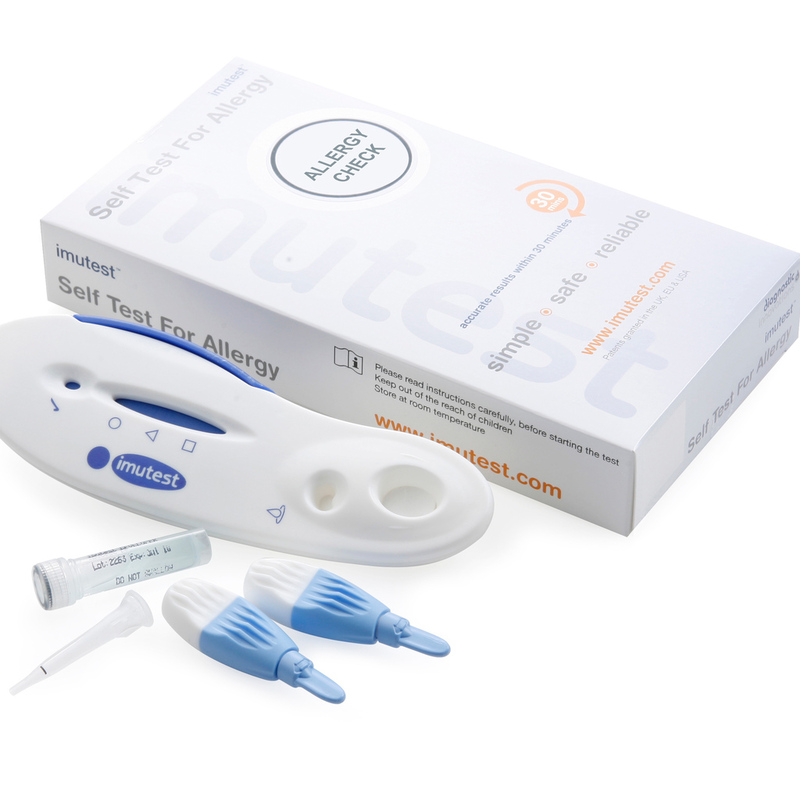 Imutest Allergy Check® is a safe and accurate.home allergy test to help people with asthma, eczema and other allergy related diseases find out what could be triggering their symptoms. 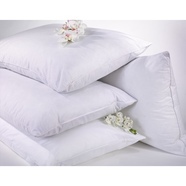 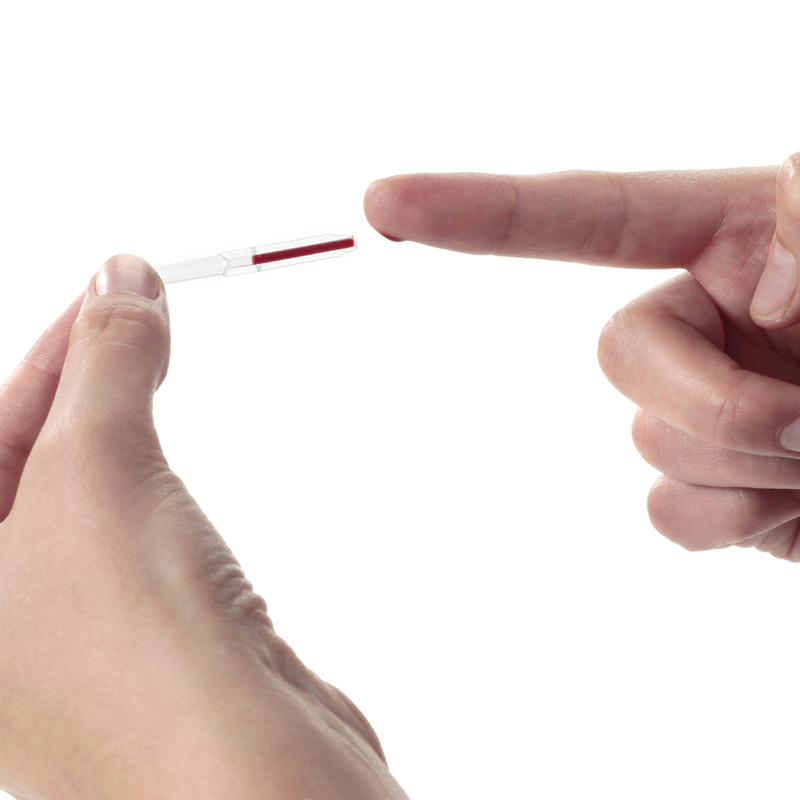 It offers a clinically proven IgE allergy blood test, just like those used in hospital laboratories. 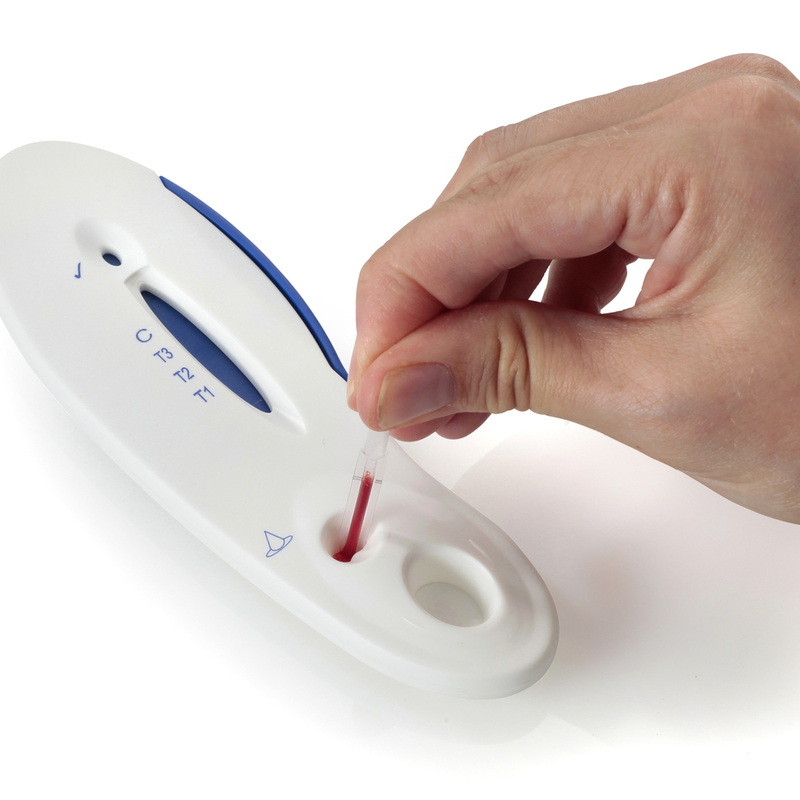 Imutest are the only IgE tests in the world licensed for home use. 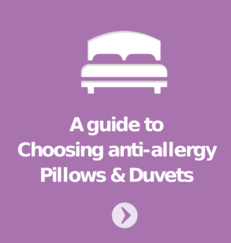 the General Allergy Check is quick, simple, safe and provides clinically proven results you can rely on. 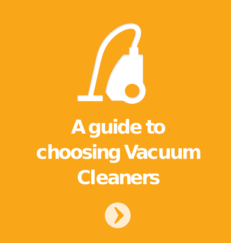 It's a convenient and reliable way to find out which of the most common allergens you are sensitive to in just 30 minutes in the comfort of your own home. 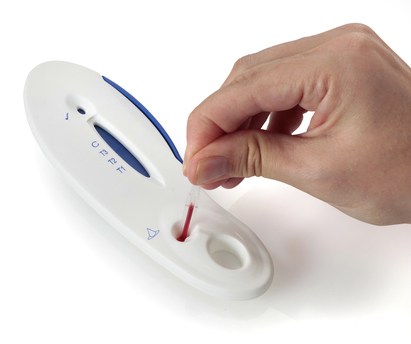 You can test at any time of year and your result is not affected by medication. 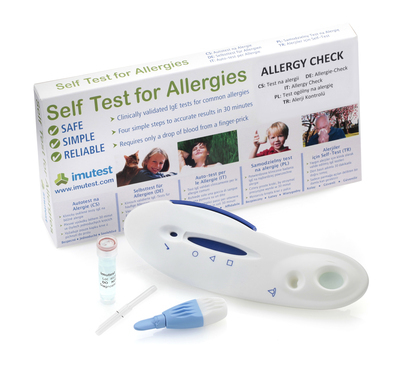 If your General Allergy Check shows positive you can then carry out the economical 3-in-1 Airborne Allergy test for the three most common allergies to grass pollen, cat and dustmites. 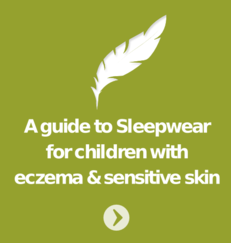 Once you know what you are sensitive to you can confidently seek medical advice and develop a management plan to help cope with your allergy and reduce or possibly eliminate your symptoms. 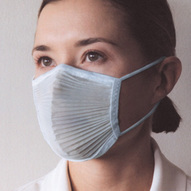 The General Allergy Check is suitable for adults and children over 6years of age and the 3-in-1 Airborne Allergy Test are fine for adults and children of any age. 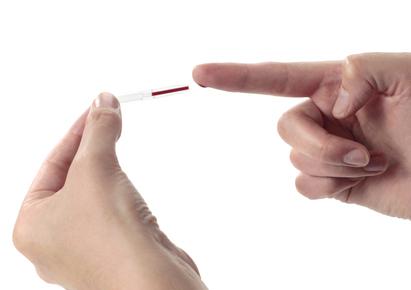 Simply add a drop of blood obtained safely and easily with the finger pricker provided. 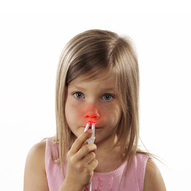 The test kit detects raised levels of IgE allergy antibodies in the blood, same as a hospital allergy test. 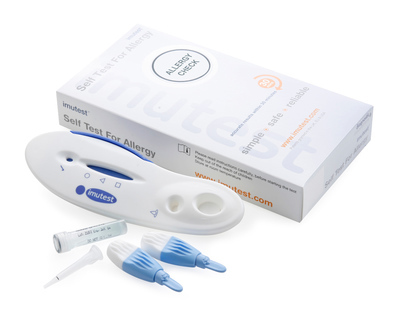 Imutest Allergy Check® has been registered with the UK medical device regulators (MRHA) and has CE accreditation through the British Standards Institution (BSI) for self test use and also for professional use by doctors, pharmacists and laboratory scientists throughout Europe according to the EU IVD directive 98/79/EC.